The range of stone mills have been manufactured since 1925 in Denmark and with this experience, our stone mills provide excellent milling quality. 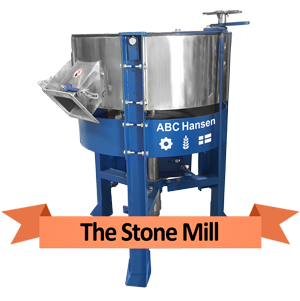 The horizontal stone mills are branded as Farmers Favorite 600 and 950mm stone mills and are standard items. Stone mills are ideal for the milling of spices, because of the low milling temperature, thus preventing discoloration and loss of fl avor, and its ability to grind the product extremely fine. Many varied applications requiring fine milling with low oil and moisture content is routinely supplied, from macadamia nut shells to starch. Currently the largest market in the world for stone mills is in Ethiopia, for the fine milling of teff. Stone milling is especially suited where dry products with low oil content have to be milled very finely .In the case of grain, a pass through a 160my screen can be as high as 95%. Stone mills offer low investment in equipment for fine grinding with low heat transfer to product and runs at low operational cost. Well suited for all grains and spices and can be applied to numerous other products. 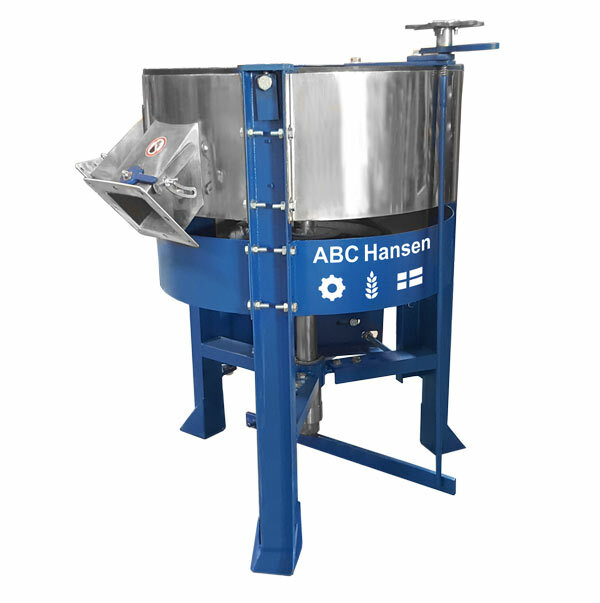 Product is normal discharged by means of air which increases capacity and retains a low milling temperature.